Bromelain is a combination of enzymes, called proteolytic enzymes, that help your body absorb and assimilate proteins from foods, according to the University of Maryland Medical Center. Although bromelain is most commonly available as a dietary supplement in the United States and other countries in the Western world, it is a plant-based substance. Bromelain is only available in natural form from the pineapple, a fruit that is native to Central America and South America, according to the University of Maryland Medical Center. 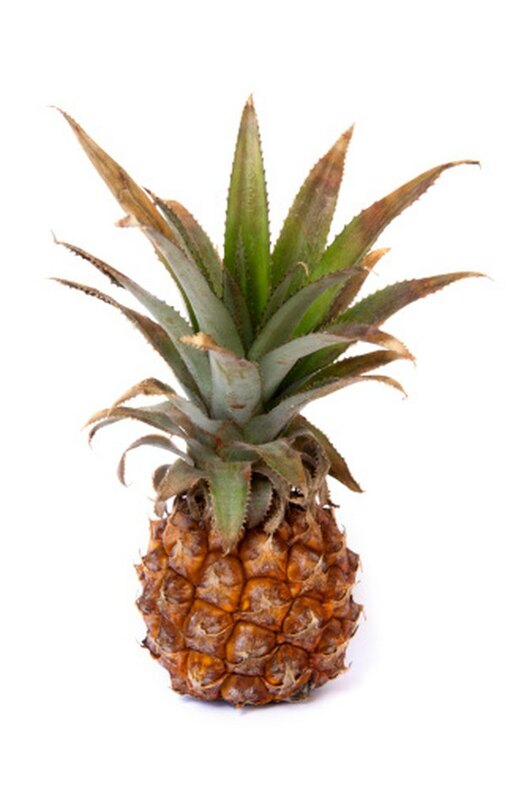 Both the stem and the juice from the pineapple's flesh contain bromelain. Alternative medicine practitioners recommend bromelain for the healing of soft tissue wounds, according to the American Cancer Society. This enzyme compound may help reduce the inflammation of muscle and soft tissues. The anti-inflammatory properties of bromelain may also help relieve pain and stiffness associated with carpal tunnel syndrome and arthritis. Bromelain may also help ease digestive distress and fight infections. Some manufacturers of bromelain supplements also claim that this substance may help shrink cancerous tumors and aid in weight loss; however, evidence is currently insufficient to support those claims. Bromelain may cause mild side effects such as diarrhea, increased menstrual bleeding, vomiting and nausea, according to the University of Maryland Medical Center. If you are allergic to pineapple, bromelain may also cause skin rashes or breathing problems. This substance may also interact with several medications and chemicals. You should not consume bromelain if you take anticoagulants, such as warfarin, aspirin or clopidogrel. Bromelain also amplifies the effects of sedatives, such as alcohol, tricyclic antidepressants, barbiturates, sleep aids and benzodiazepines.